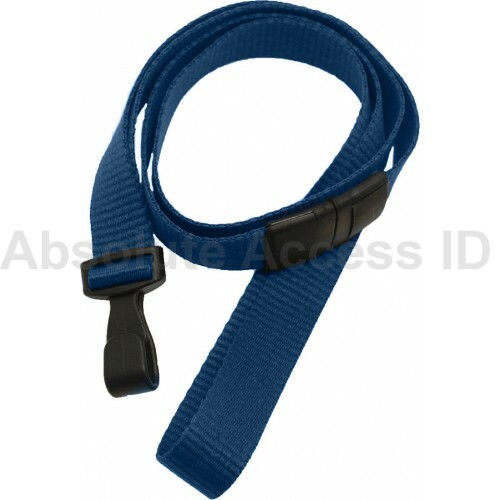 This is our 5/8" (16mm) Break Away MicroWeave ribbed Navy polyester material with a Wide Plastic Hook. These Lanyards are customizable Call Us Today! This item comes in packs of 100.